Traditional home locks require keys to be opened. With the advancement of technology, these door locks can now be accessed without using keys. Think of an automatic garage door. They work the same way, only that they are used in the doors of the house instead of the garage door. Using keyless entry has its advantages and disadvantages. If you’re thinking of having keyless door lock installation, consider the pros and cons to make sure that this is the best option for you. One of the benefits of keyless entry in your home, as you may already know, is that there’s no need to use keys. This means that lost or stolen keys can be prevented. If you keep on losing your keys, this is a good option for you. They also offer advanced security since they are resistant to picking and bumping. 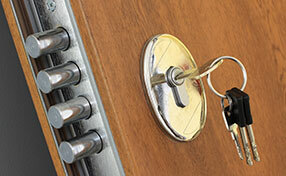 Picking tools and bumping keys are often used by burglars to gain entry to homes. Keyed entries may require changing of keys in case you misplaced them. Codes used on keyless entries can be easily changed or fingerprints of authorized people can be easily added. There are three types of keyless entries to choose from. Aside from the ones that use fingerprint and codes that are entered on keypads, there are also those that can be opened using key fobs. Through this, the door can be opened with a single click of the button. 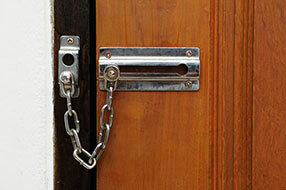 Although they are state of the art, lock replacement or installation does not take that long. Locksmith Orting has technicians who are experts in the installation and replacement of keyless door entry system. While a keyless entry has several benefits, it also has some disadvantages. Those that scan fingerprints to open the door can be easily opened by authorized people, but there’s the possibility that you may lose your key fob or forget your code, which could result in being locked out of your home. Moreover, there are systems that run using electricity. If there’s a power outage, it may not be possible to open or close the door, unless there’s a backup battery, which most of them have. So make sure to get one with a backup battery in case you decide to open an electric powered lock when there’s an outage. Another disadvantage is the cost. A keyless door entry system is more expensive than traditional key. Consider these factors when deciding if you will use a keyless entry in your home.